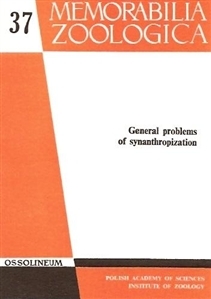 Synantropization as a result of environmental transformation. Man's impact upon the flora: processes and effects. Prehistoric man and natural vegetation: the usefulness of pollen evidence in interpretation of man-made changes. History of the synanthropic changes of flora and vegetations of Poland. Characteristics of animal species colonizing urban habitats. Ecological and ethological aspects of the synanthropization of bird. Endangering of higher waterplant communities as a result of eutrophication of lakes. Porecesses of synanthropization of competitive animal associations. Remarks on arrangement and formation of landscape - structural elements according to their functions in intensively managed agrarian districts.